A rare and record breaking snowfall occurred Christmas Eve into early Christmas morning across south and southeast Texas. For the first time ever, some areas experienced their first white Christmas. The snow line ran from Cotulla to Cuero to Sugar Land to Winnie. Snowfall totals ranged from 13 inches (in Brazoria) to about 1 inch (in Pasadena) across the region. 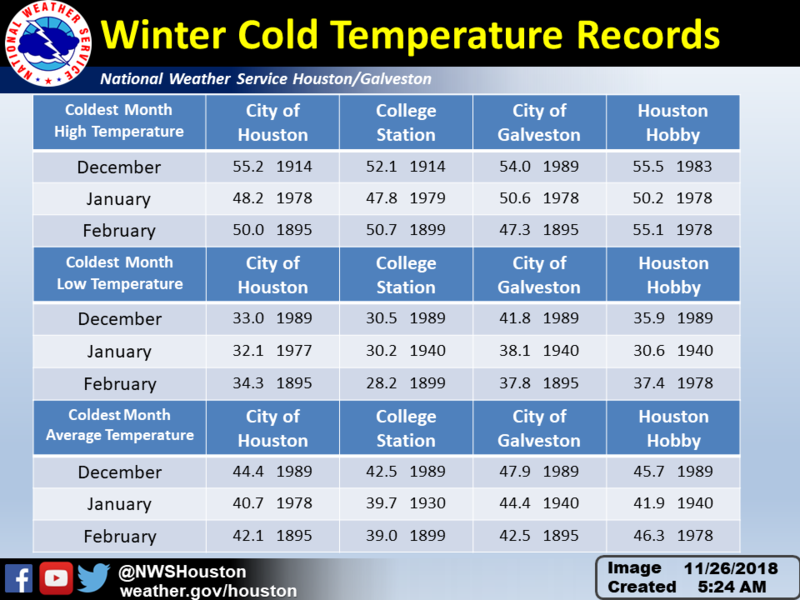 An arctic cold front had pushed across Southeast Texas on Wednesday dropping temperatures below freezing, so plenty of cold air was in place Christmas Eve when the snow began. What made this event unusual was not just the cold air being in place, but the depth of the cold air that was in place over the area. 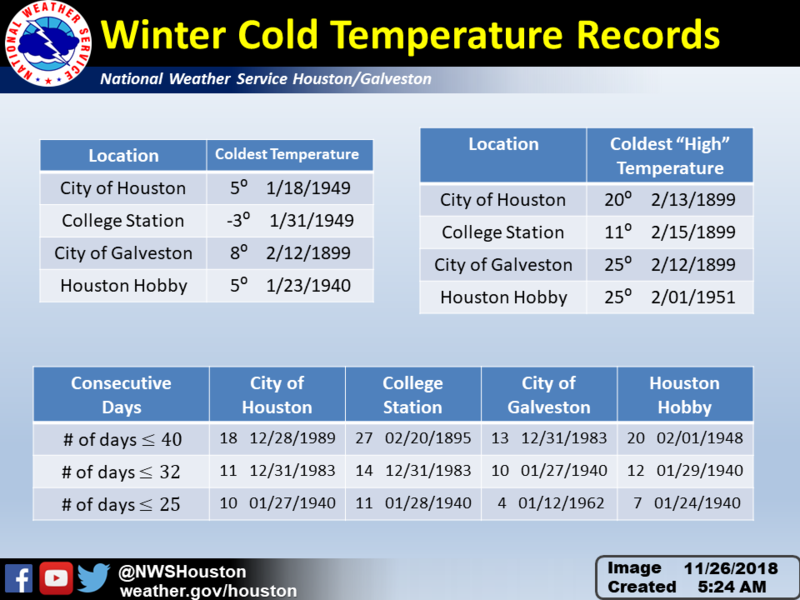 Before the heavy snow began on the night of Christmas Eve, the entire depth of the atmosphere over Southeast Texas was below freezing. 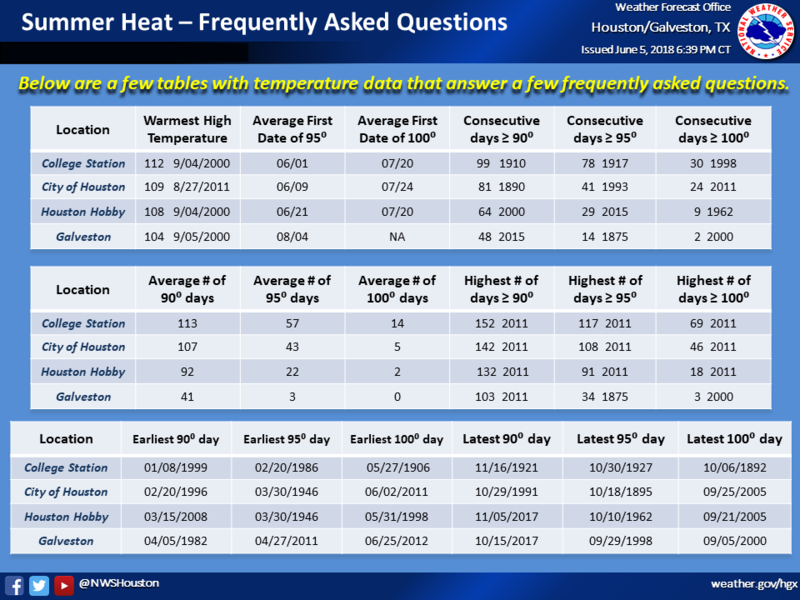 Normally when winter weather events occur in Southeast Texas, the depth of the cold air is much shallower, resulting in ice (freezing rain or sleet) being a lot more common in these parts than snow. The morning of Christmas Eve, a strong upper level low was evident on satellite across northern Mexico. Ahead of this system, some snow began across Southeast Texas, but the dry atmosphere kept the snowfall light during the day, resulting in only trace amounts or a light dusting through late afternoon. Eventually, the atmosphere moistened up by late in the day as the upper level low approached from the west. 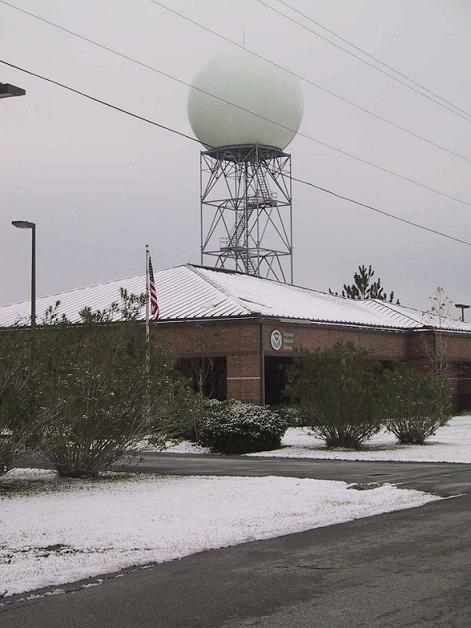 The upper low moved across South Texas during the nighttime hours Christmas Eve, resulting in a band of heavy snowfall just north of the track of the system. The band of heaviest snowfall, about 20 miles wide, was centered from Victoria to Edna to Bay City to Lake Jackson. In this area, approximately 9 to 12 inches of snow fell. All areas south of a line from around Garwood to Needville to Friendswood to Texas City saw at least 3 inches of snow, with 4 inches falling on Galveston Island and 6 inches reported in Angleton and Alvin. North of this area, the snowfall totals dropped off rapidly. Snowfall totals of around an inch occurred in Clear Lake and Missouri City, with accumulations in Houston generally ranging from a dusting to around an inch. The heavier snowfall occurred over the coastal counties south of Houston because this area had more moisture in the atmosphere (being closer to the Gulf), and was also closer to the track of the upper level low. As you headed north and got north of Interstate 10, the atmosphere was too dry to support much more than just a few flurries.